Hello everyone, and welcome to NiceGamingAdvice! Here at NGA, you will find overviews of games (based on personal experiences in them), plenty of advice to go along with them, and just a whole lot of [mobile] gaming subjects! 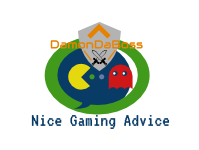 I’m DamonDaBoss, and this week’s post will be about, you guessed it, Boom Beach! PS: There will be no one else working on this blog besides me, for now, because of some difficulties I’m having with contacting people back and consistently talking. Now, let’s get into the subject! Besides the two obvious heroes shown on the featured image, there was another “hero” added to the game in this update. That “hero” is the trader, and she might be the most important addition to the game so far. Have you ever really needed gold, wood, iron, stone, or even shards? That’s no problem anymore with the trader giving you these items for cheap and affordable prices, and in large quantities. Now I’ll only say this once, but, the first video listed below will give plenty of info on the trader, and the two other heroes, so check them out! Off to the real heroes now, since they are still quite important to attacking now! Must repair the broken down hut next to the island shore. This will be your hero hut where you can view your heroes’ profiles and abilities. this all is, of course, true, and very important to know about heroes when playing Boom Beach. The first hero, Sgt. Brick (The soldier looking blond hero), is a powerful attacking hero with abilities that increase damage and speed, defense, and abilities that can even make cluster bombs. She is perfect for use behind a group of troops, because she does a ton of damage when protected. Her special is that she shoots a bomb every time her target resets. But then there’s Captain Everspark. A versatile attacker and support, Captain Everspark (The red haired mechanic looking hero)’s got it all. She can spawn little critters, similar to the witch in Clash of Clans and Clash Royale, and she can also plant timed bombs, and “hacking devices” that take over nearby enemy towers and make them fight against their own team. Her special also spawn critters, along with one of her abilities. That’s really it for this week’s post, I hope you enjoyed, and I’ll see you all later! Also, don’t forget to like, comment, re-blog, or even follow this blog for more content, better content (for your preferences), and more fun! Goodbye! These two videos below go over a little more details on how to use the heroes. The second one is mainly just for fun though! Hello everyone, and welcome to a game similar to Clash of Clans, and made by the same company (Supercell), Boom Beach! To learn more about this game, check out the page about it by simply clicking here. To do a little background about this game, the two main enemies you have to face are the notorious Blackguard, and Dr. T. Most of your “Story-mode” missions have to do with Blackguard, but you can battle Dr. T in smaller side stores, and you can attack his small bases like any other enemy base. But every once in a while, Dr. T has a Mega Crab come, which can give you very good loot, and also a fun mini story mode to participate in. Here are some pictures of the Boom Beach villains, already present, and possibly to come in a future update. Besides the basic plot I briefly talked about, there is little you can do in Boom Beach besides taking resource bases, attacking other players, and upgrading your base (Like Clash of Clans, except you only have one builder). To learn more about these things, go to the link above to get a more detailed description on them. Or, to have a visual assistance, just go to this YouTube channel, (The Actual Boom Beach Channel) about the game to learn more. That’s really it for today’s post, I just wanted to introduce the Boom Beach app into this blog for future posts about it, including one on the past (Red) Boom Beach event that happened recently (I’ll probably do this post soon). Thanks for being here on my blog, I hope you all have a nice day, and Clash On! Also, don’t forget to like, comment, and follow this blog for future content and definite responses to any questions/comments you may have. (I also take suggestions about mobile games to put on this blog, so keep that in mind). Bye!